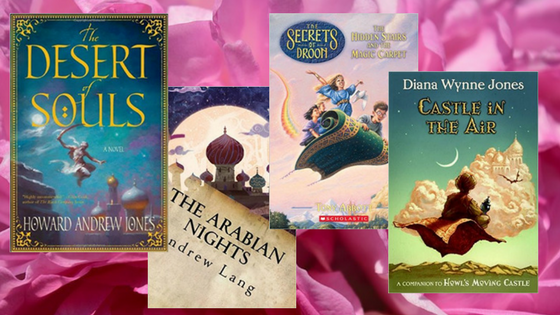 Home For Readers Book Chat Top Arabian Fantasy Books! 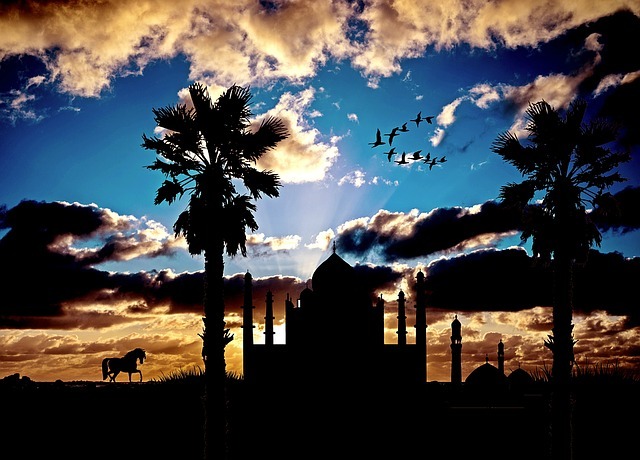 My young adult fantasy book, Where Carpets Fly, is influenced by some Arabian and Middle-Eastern elements: flying carpets, Persian architecture, and Mediterranean food and climate. 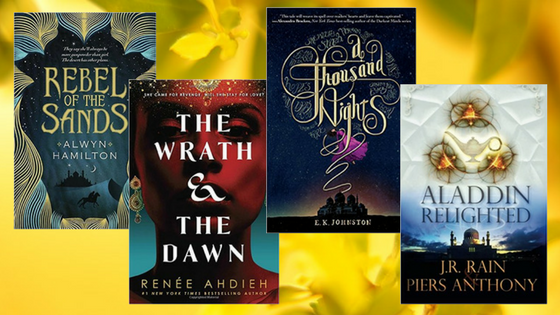 I’ve been looking for other fantasy books that use similar themes and created a Goodreads list and bookshelf for Arabian-style fantasy, and also a Facebook group on the same theme. Please come and vote on the Goodreads list and join the Facebook group! Below, I’ve listed all the books I’ve found to date that fit the theme. If you can think of any others, please let me know in the comments. Over time, I plan to read the books and review them on Goodreads or here on Magic Writer and to chat about them in the Facebook group. Also, if you’ve read any of those below and enjoyed them, let me know and I will prioritise reading them! The list includes the year of publication from most recent to oldest. Where Carpets Fly is 99c this week! Shadow Spinner! I’d forgotten about that book, but I read it as a kid and as far as I remember, enjoyed it! I’ve read EK Johnston’s A Thousand Nights recently and it was pretty good. So were Behemoth and The Lives of Christopher Chant. Castle in the Air was AMAZING but I’m somewhat biased because I love Jones’s books! Cool thanks! I haven’t read Castle in the Air for years so I’m looking forward to a reread! I read A Thousand Nights and found it mediocre. The Wrath and the Dawn, well . . . I’ve shared my thoughts on that. I also read Shadow Spinner several times as a kid and enjoyed it. Also like the Storyteller’s Daughter.